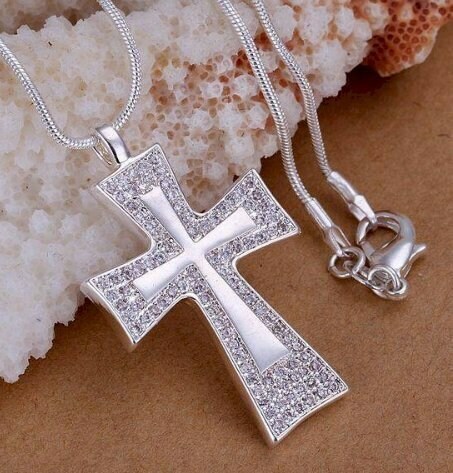 Style and Sophistication abound with the Classic Silver Plated Rhinestone Cross with and inner inset Cross. A Saint Michaels Jewelry exclusive. Outside Cross measures 1 1/2” long x 1” wide. Comes with a Silver Plated 18" snake chain.